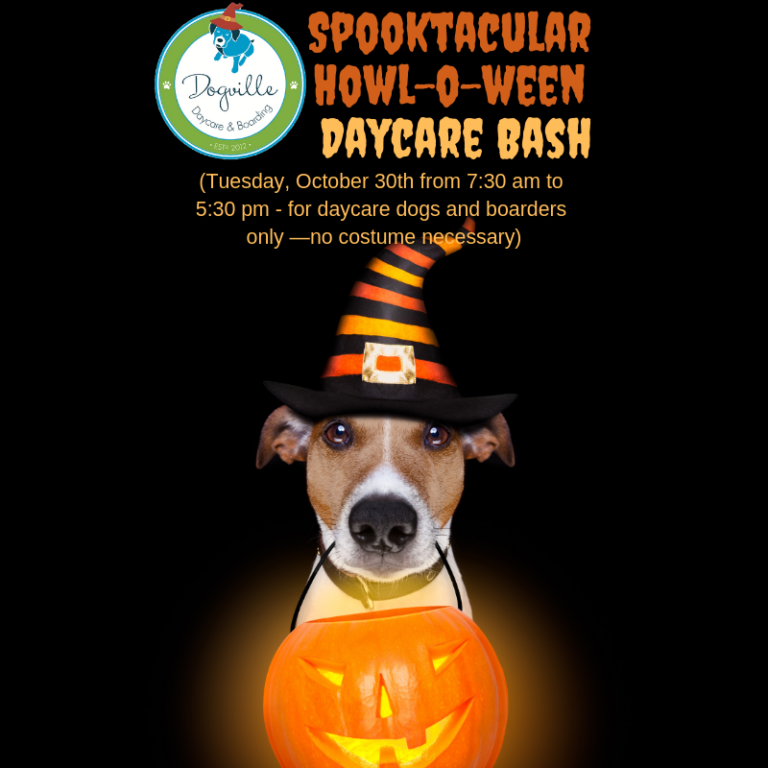 ANNOUNCING: SPOOKTACULAR DAYCARE BASH AND 2018 DOGVILLE TRICK & TREAT PAWTY!!! Each dog gets a Devilishly Delicious Goody Bag, a Howl-o-ween bandanna and a printed photo for your fridge! Cost: $15 in addition to daycare—just let us know when you check in if you want your dog to attend. Watch all the action on Facebook Live!! Date and Time: Tuesday, October 30th from 6-8 pm. 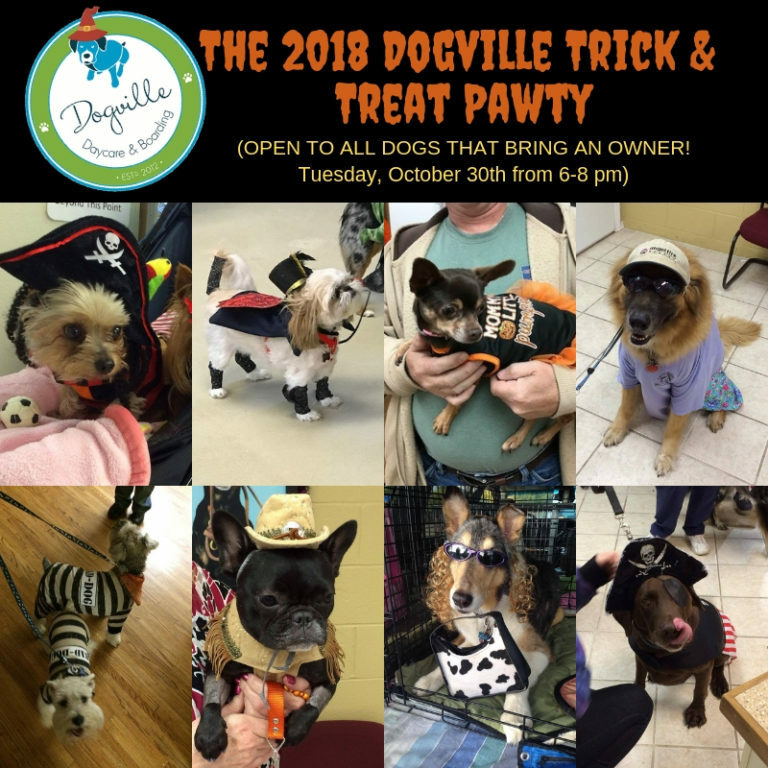 BRING YOUR DOG (AND YOURSELF) IN FULL COSTUME! Pose for photos with your dog at Howl-o-ween themed backdrops! We post the photos and our Facebook followers pick the winners on Halloween! GROOVY PRIZES for 1st, 2nd and 3rd place! Pick up a treat bag for your dog and yourself! We are so excited! This is easily one of our favorite times of the year to have fun with you and the fur-kids! Can’t wait to see your smiling faces and creative costumes!